The special Jeopardy! tournaments targeted toward younger people—whether they’re kids or college students—usually give the show a chance to let loose and throw in some fun pop culture-based categories about things kids like. Today, with the show in the middle of its collegiate tournament, Jeopardy! decided to dip into that crowd-pleaser well with a category called “Let’s Rap Kids!” that required the contestants to name popular rap artists when given only the lyrics to one of their songs. Naturally, that meant host Alex Trebek had to recite some rap lyrics, which is always very funny. 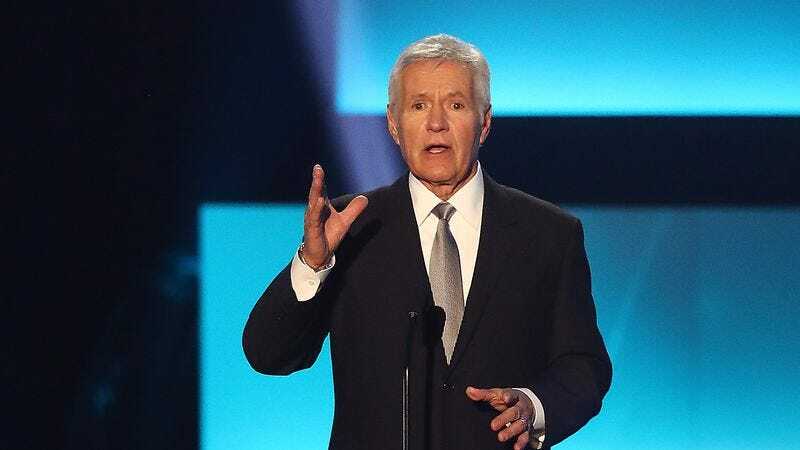 Luckily, nobody asked Trebek to quote any nerdcore songs, because we all know how he feels about that particular sub-genre.